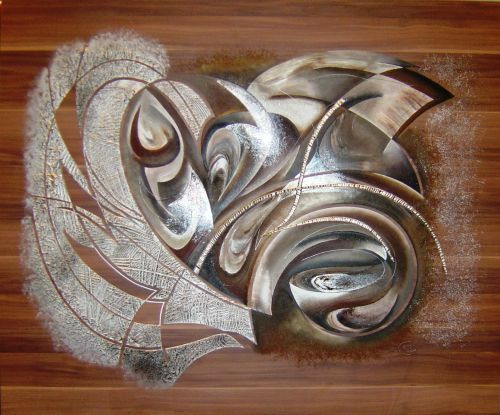 An original, oils on wooden panel with extra mixed media and silver leaf. It is painted on a richly coloured wood effect 20 mm thick board. It can also be framed if desired.